Exposed Blitz: This seems to be the fastest way to kill him, although at the cost of becoming exposed. To do this start by climbing the statue after the scene (there has to be a scene, you can't just start from the checkpoint after the scene) and quickly get to the balcony. If you were fast enough you can get him with an air to assassinate before he gets away. There's also might be some bad luck where you don't catch the top ledge of the balcony when you jump. Anonymous Blitzes: These are a little different from the original blitzes done on Abu'l Nuquod. The path is almost the same except you run up a wall and jump to the balcony (after you run up the wall climb up a ledge before you jump to reach the balcony). Then jump sideways to another ledge, climb on the balcony railing and aim your jump to the middle of the balcony. Quickly run to kill the merchant king before becoming exposed. I show two examples which are a little different. Eagle Strike Where He Stands: Hanging from the highest ledge of the dome and jumping is just high enough to kill Altair. I hang from a certain spot with Altair's hands on both sides of a corner (it would be wise to be a little more to the right to avoid bumping into the building when jumping). 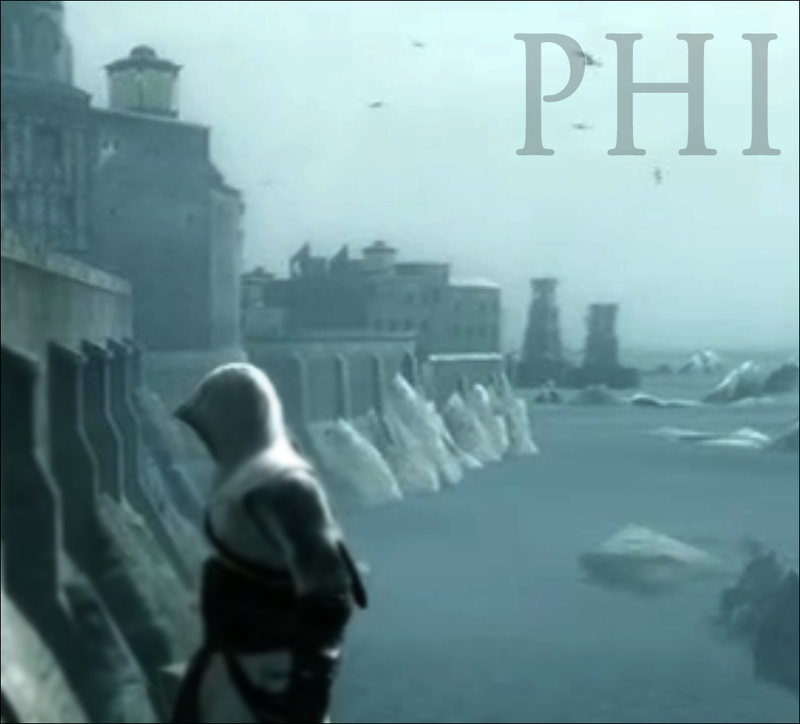 The ledge has to be grasped at the right time or you will grasp onto a higher ledge and can't air to assassinate. From the ledge you can assassinate Abu'l Nuquod about anywhere he walks on the balcony, but I choose to assassinate him when he's close since it's hard to locate him after catching the ledge. Stylish Assassination Using a Haystack: This is something I wanted to try. 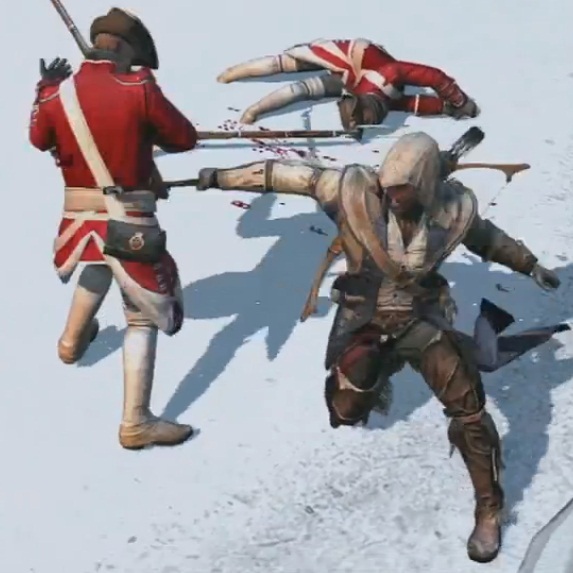 You can't assassinate from a haystack in ac1 like you can in the sequel games, but it would be cool to assassinate someone right after getting out of a haystack (like I did with Francesco de Pazzi. I wait for Abu'l Nuquod to run out of the palace, then climb to a certain spot on the dome and jump when he's 25 meters away. From where I am the jump will send me into the haystack. The target is a little too far to kill so I move toward him when I get out of the haystack. 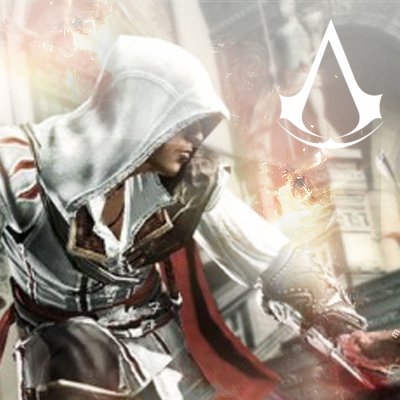 One thing to remember is because I'm exposed the game will force Altair out of the haystack. bravo! you did a great job of executing the blitzes. for the anonymous blitz, could the design be further refined by aiming the left stick in the 7 or 8 o'clock position when altair kicks off the wall? (stabguy will prob kill me for mentioning this...) if you are interested, the tamir record can be broken with relative ease. an improved exposed blitz on majd is pretty easy too. i think the performances on sibrand and talal can also be improved to shave a couple seconds. If you mean when he jumps to the balcony railing, not sure. Funny that you mention it, I've been trying a superfast blitz for Majd Addin using the same method that I did for William, but it didn't work out (either I'm not able to catch a ledge at the last second or I can catch a ledge but can't do any high profile movement because ancestor's memory is recording!). So I guess I'll try regular anonymous/exposed blitzes on him, and can't wait to try it on other targets. Aurel, do you know how to time blitzes in your video editor? Take the timestamp of the first frame of the kill animation (when the camera angle changes) and subtract the timestamp of the first frame of the white flash (when you first gained control after the cutscene). Ideally your editor will give you these times in hundredths of a second. If not, you can count frames from the whole second. I edit at 30 frames per second (0.03 or 0.04 seconds per frame) and Ian edits at 15 FPS (0.06 or 0.07). Your superfast blitz of William de Montferrat is hard to measure because the camera angle changes while the screen is still white. It's 0.13s or less. Last week I held 6 of the 11 blitz records. Now the score is Ian 5, stab 4, Aurel 2. Why don't you go after some of Ian's records next? You mean what I used to publish the video? And yes, I read about when the blitz starts and ends in a video description (although I wasn't sure if the blitz started at the first or last frame of the white flash). I did compare my blitzes with the record one to make sure they were faster, then I just rounded the time to the nearest second or half a second. I guess I should keep track of the exact time. I did regret the William blitz after I made the video because of where the camera was facing and Altair was blocking the place where he would appear. Oh, and sorry for beating the records (not really ), I'm sure it took a long time to do those. Especially you, Stabby, I didn't pay enough attention to realize those were your blitzes I was beating! If we keep at this we can expect an Eleven Man Blitz 3.0 to come out soon. It's a video by IanXO4. It has annotation links to the fastest assassination records. The annotations have the record time, the name of the person who performed the blitz, the path the person took represented by a letter, and whether or not the blitz was anonymous or not. Here's the link, knock yourself out. Good use of the fountain you made there! I didn't think the assassination from the haystack all that great, it just didn't seem that smooth (although I'm fairly sure that's as smooth as it will get). They are all nice. Some say the fountain is useless. You showed how it isn't.